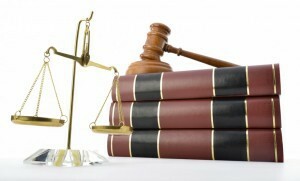 A good Personal injury law office in Newport Beach can make skillful use of discovery requests. For example, the Newport Beach personal injury lawyer may show the discovery forms to the plaintiff during the discussions about settlement so the plaintiff knows the type of information the defense will be able to produce. A skilled professional at a personal injury law office in Newport Beach may send discovery forms to the plaintiff during the process to make sure that the plaintiff’s attorney has the complete picture. This includes any damaging information. This is necessary to evaluate and settle the case before the suit is filed. Discovery requests will also be sent to the plaintiff concurrent with filing so that all the answers can be prepared efficiently. Getting these documents to the plaintiff quickly and answered quickly will help minimize defense requests for extensions. It is important to realize defense lawyers expect your personal injury law office in Newport Beach to take discovery requests seriously. When it appears that your defense attorney is not being cooperative or not responding to requests, the defense can file a Motion to Compel. Judges usually require valid responses to interrogatories and requests. A plaintiff’s history and medical records are considered fair game for the defense, and all requests will likely be granted. Hiding an injury or damaging medical information is nearly impossible and certainly damaging to your case. Defense attorneys have seen this before and know what to look for. To ask questions and to schedule a meeting, call Russell & Lazarus APC at 949-851-0222.